Since it came out, Aromatisse has always been one of my favorite cards in the format. 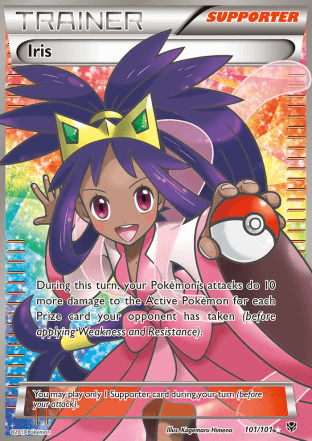 Energy transfer decks have had a strong presence in the game the past few years, and Aromatisse was a Stage 1 getting an Ability that had mostly been reserved for Stage 2’s in the past. Since it’s come out, we’ve seen Aromatisse be played with Plasma Pokemon, as a Tool Box of non-Plasma Pokemon, with M Kangaskhan EX, and M Heracross EX, and that’s all in its first year of existence. 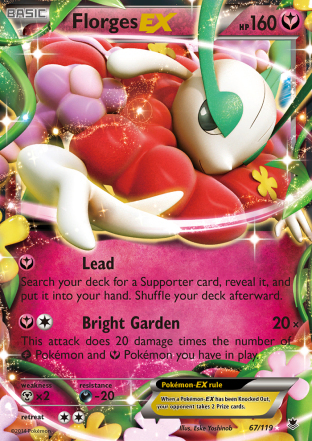 When the scans for Phantom Forces were first revealed, one of the cards that immediately caught my eye was Florges EX, a card which has unfathomably been labeled bad by the Pokemon community at large resulting in it settling in at a laughable price of $2.50 for an EX card. I am unsure why people were in the dark as to why this card would be good, but it was a card I immediately thought to be beaming with potential. Florges EX is a Basic EX Pokemon, with 160 HP, Fairy typing, and a Metal weakness. Its first attack, Lead, costs [Y] and lets you search your deck for a Supporter card. This attack was very good, and something I thought would help the consistency of Fairy decks, and sometimes just being able to consistently execute your strategy will win you games, and Florges definitely helped a Fairy deck in that regard. To start the game, you could search out Pokemon Fan Club’s to search out Basic Pokemon, or Professor Juniper to start drawing through your deck. 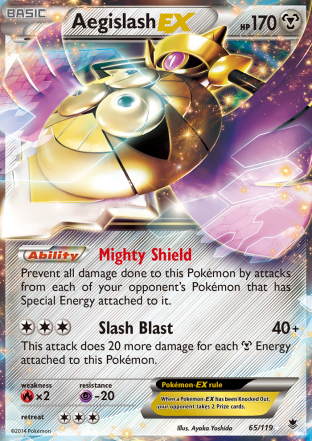 Its second attack, Bright Garden, costs [Y][C] and does 20 damage times the number of Grass and Fairy Pokemon in play. That means if you fill your bench with Pokemon of those types, Florges EX can hit for a base of 120 damage, which will be good for 2HKO’s on anything. 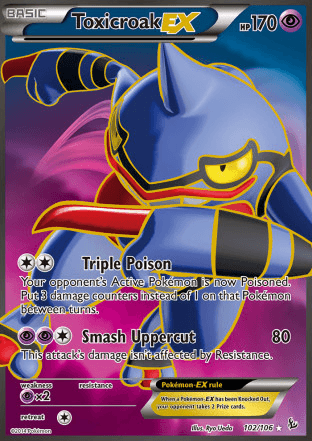 With a Muscle Band, you can hit for 140 damage, which is an important number as it combos well with Xerneas EX’s Break Through attack, which snipes 30 damage. Xerneas EX would be able to snipe 30 to the bench to finish off something you previously damaged with Bright Garden, or setup damage to allow Florges EX to finish off the KO’s. The most important aspect of Florges EX that made it strong to me, was that Florges EX only needed two Energy to use Bright Garden. An issue that I’ve noticed with Fairy decks in the past is that they’re reliant on too Energy heavy attackers, so when you’re faced with a deck that can OHKO, like Virizion EX/Genesect EX, you might end up unable to attack when all your Energy get knocked off the field, or be forced to use a subpar attack. With Bright Garden’s low Energy cost, you were pretty much assured of having a good attack to use every turn of the game from turn 2-on. This is the list that I used for a recent City Championship. In the tournament, I finished 4-0-2 for the 1st seed after Swiss, and then finished 3rd overall, beating a Pyroar/Seismitoad EX deck in Top 8 and then falling to an Yveltal EX/Garbodor DRX deck in Top 4. I decided to go for a straight Fairy list instead of playing Grass Pokemon, as the Grass Pokemon available don’t really add much to the deck and playing Rainbow Energy would make the deck susceptible to Enhanced Hammer, and playing Grass Energy would hurt consistency. Virizion EX would have been nice to shutoff status effects, but just nerfing Laser damage with Fairy Garden in play is generally enough. Shaymin EX is the only other Grass Pokemon you would probably use, and it’s usefulness is limited in a format with a lot of Safeguard and non-EX attackers, as well as lots of decks that can power up attackers to hit for enough to KO it very easily. The Pokemon line is fairly standard. I decided to go for a thick Aromatisse line to make it easier to draw into them, and also make it very difficult for my opponent to leave me without an Aromatisse on the field when combined with Sacred Ash. 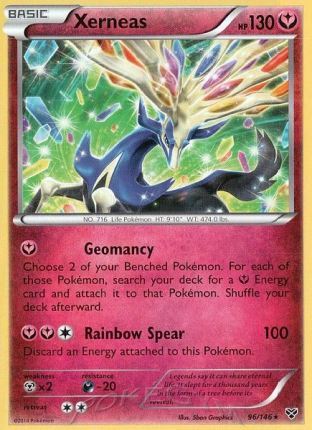 I played 2 Xerneas XY to be able to use Geomancy to accelerate Energy onto the field, as well as to use Rainbow Spear against Sigilyph and Suicune. 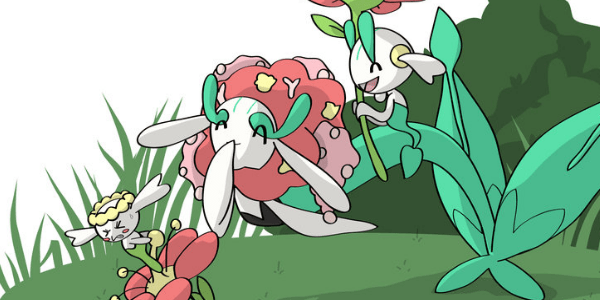 I played 3 Florges EX as its a strong attacker that I want to have easy access to, and just 1 Xerneas EX, as it’s a lot more situational of an attacker, and has higher attack costs, so it’s not something you want to use too often. Klefki is probably a more unconventional addition, but it is strong when Yveltal EX has such a strong presence in the meta game. It turns your Fairy Pokemon’s Dark resistance to -40, making it near impossible for your opponent to OHKO your Fairy Pokemon. If I were to play this deck again, I would probably cut Klefki for a Startling Megaphone though, as against Muscle Band based Yveltal decks, removing their Muscle Band essentially does the same thing as Klefki. 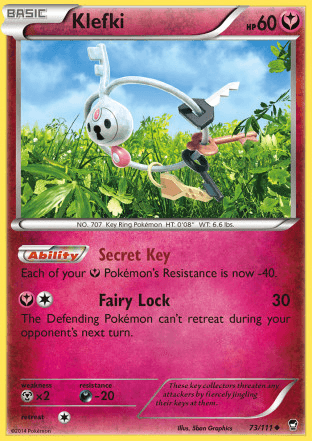 However, against the Hard Charm variant, Klefki is better, as you will still 2HKO them anyhow, but they will have a ton of difficulty putting significant damage on your field. 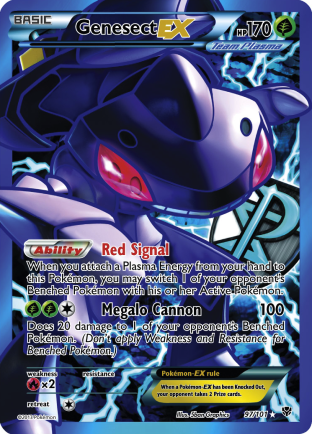 I thought the Hard Charm variant would be more popular here last weekend, but most people still played Muscle Band versions, so Megaphone would have been much better, while also helping with Garbodor. As far as Supporters go, I went with a pretty standard setup with my setup and consistency Supporters. Pokemon Fan Club is great for filling up your bench, and getting the exact Pokemon you want in the early game. Professor Juniper and N are just staples, but N is particularly great in this deck because of how well this deck can play off the field, and you can actually N both you and your opponent to one, and then use Lead to get the game breaking Supporter for yourself. Colress is really strong in here, as you’re going to be filling up your bench every game. 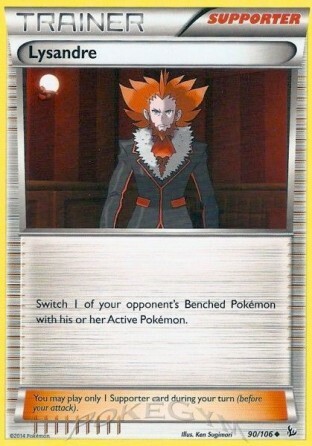 I went with a high Lysandre count for a few reasons. First of all, it’s great against Donphan, as it lets you just go around their Robo Substitutes, and target down their Donphan, completely shutting down their only powerful attacker. Additionally, the deck as a whole won’t OHKO very often, so being able to drag up stuff you previously damaged to take KO’s is important. Conversely, you can drag up something without damage, to move something with damage to the bench so you can snipe it with Xerneas EX for a KO. The heavy Lysandre also helped against Garbodor a bunch. An issue Aromatisse decks had with Garbodor in the past is that they didn’t have an easy to power attacker to deal the 100 damage on a Garbodor. With Florges EX, you have a simple two Energy attacker that can do that. In my games against Garbodor in Top 4, I was able to do this fairly easily in the game where I got off to a good start. Unfortunately, in the other two games, I wasn’t getting Supporters in hand, and had to constantly use Lead every turn to just get setup, so I was too slow in getting setup to effectively deal with the Garbodor fast enough. This is another reason why I would move to get a Megaphone into the deck, as it would help in those matches where you don’t get setup fast enough, and then you can use it a second time with Dowsing Machine. As far as healing goes, there are actually two options for this deck now. Max Potion is still the main healing option, it’s a simple Item that you can use. Just move the Energy off, and then use Max Potion, and move it back on. It’s very powerful. 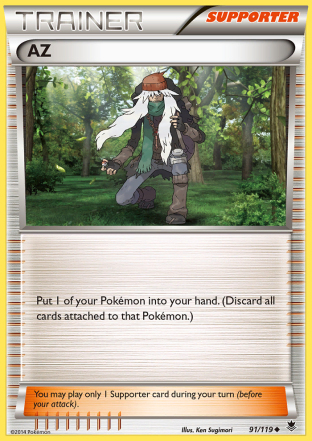 We also gain AZ, which lets you pick a Pokemon up off your field, and discard all cards attached to it. This gives you a healing option under Item lock, and also something to use to free yourself from losing a turn to being asleep. There’s something different for this deck though, and that is the amount of times you can heal. Between Max Potion, AZ, VS Seeker for AZ, and Dowsing Machine for Max Potion or AZ, you can use healing a total of 9 times, which makes this deck an amazing tank deck. The last Supporter I played was Iris, which was very strong. After 3 prizes are drawn, you can deal 170 damage with Florges EX’s Bright Garden attack, which is good for OHKO’s on most stuff in format right now. Being able to take some surprise OHKO’s with Bright Garden, or chain back to back OHKO’s with VS Seeker for Iris really helps give this deck the last push it needs. Playing 4 Fairy Garden is great in this deck, as it gives you complete control of the Stadium war, limits Poison damage, and gives you complete mobility under Item lock. The last notable thing was the 1 Double Colorless Energy, which was definitely worth it. It allowed me to accelerate attacking with Xerneas EX by one turn, and it’s also useful for attaching to a Florges EX which ended up with a Head Ringer on it. I’m a big fan of 1-of type techs like this that don’t get away of the consistency at all, but add a small extra dose of strength or versatility to the deck. One of the most appealing things about this deck for me was that it had pretty solid matchups across the board. 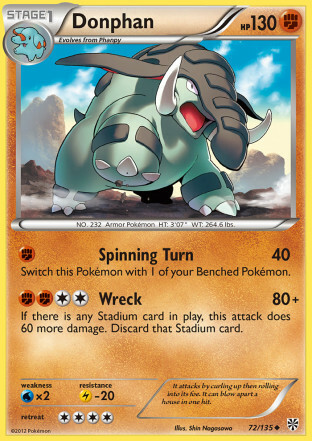 It has a terrific Donphan matchup, as you can heal off all the damage they put on, while using Lysandre to knockout their Donphan. It’s about as slam dunk of a matchup as you could ask for. Yveltal decks are also fairly good matchups as you resist them, and have better healing than them. I think the Hard Charm Yveltal version is about as strong as your Donphan matchup, as Jamming Net doesn’t really get in the way of Florges EX taking 2HKO’s, and with Energy Transfer, it’s really easy to go into a different Florges EX with a Muscle Band. I think Garbodor evens the matchup back up for Yveltal by a bit, just by shutting off your Fairy Transfer Ability. It’s probably 50/50 without Megaphone, and then pretty favorable with it. Virizion EX/Genesect EX is probably the toughest matchup of the big stuff. It’s not bad though, more 50/50 territory. You can 2HKO them very effectively, so they’re heavily reliant on G-Booster. This is actually another area where Megaphone would help out. This is the matchup where Iris shines most, letting you take a OHKO to swing the matchup. Seismitoad EX is very easy to deal with. You can flood your field with Energy using Geomancy, and you have mobility with Fairy Garden to get into the right Pokemon. Florges EX as good of an attacker you can use against Seismitoad, doing an easy 100+ damage for 2HKO’s on it, and it sets up very quickly. When you’re nerfing their Laser damage with Fairy Garden, they start relying on 3-4HKO’s on you, while you’re 2HKO’ing them, so you just outpace them in damage output too much for them to deal with. Additionally, if you can Lysandre up the Garbodor, you can make use of Fairy Transfer to really mess with them. Pyroar is one of those matchups that you can easily tech for if you expect it in your meta game. Toxicroak EX is a simple addition to the deck that should win you the Pyroar matchup. Right now most Pyroar decks are just playing it with Seismitoad EX, and not much else, so they don’t have stuff that can OHKO Toxicroak EX, so you’re free to heal it as much as possible. If Pyroar decks trend back towards Charizard EX and Mewtwo EX, you would have to go towards something like M Kangaskhan EX that can survive their hits. If they decide to play down a bunch of Seismitoad EX, you can just take your prizes via them. I actually cut Toxicroak EX right before the tournament for another Fairy Energy to help my overall consistency, as I hedged my bet I wouldn’t play against a Pyroar deck. I ended up playing it in Top 8, but was still able to beat it 2-0, because of Pyroar’s general lack of consistency, and by targeting down Seismitoad EX’s for prizes. Something interesting to note for the Pyroar matchup is that Aromatisse is an evolution, and with Iris and Muscle Band, it can reach OHKO numbers fairly easily. In an Aromatisse mirror if they’re playing a teched out version, or a M Kangaskhan EX version, I think they probably have a bit of an advantage on this version of the deck. Iris might be able to make a difference by getting you OHKO’s on non-megas, and with the heavy Lysandre count, you could theoretically just clear their field of Aromatisse to shutoff their healing, but I think overall it should still be in their favor. And then the ugly, this deck has like a 10/90 matchup with Bronzong decks. The 10 percent is when the Bronzong players doesn’t open a Supporter, and you bench them with Bright Garden on turn 2. If your opponent doesn’t dead draw, you’re going to lose this matchup every time, as they OHKO everything in your deck and can recharge attackers with Bronzong’s Metal Links Ability. My local meta doesn’t have many Bronzong players, so it was safe to expect that I was unlikely to play one, but if Bronzong has a presence, that could be a reason to shy away from this variant of the game. However, I don’t expect most meta games to have a heavy enough Bronzong presence to where you would expect to play it more than one round in a tournament, and you can accept one loss in a tournament and still make top cut, so this deck should be a solid play in most meta games. A straight Fairy deck has been discussed as a possibility ever since the first XY set came out, but they’ve never turned out to be good. 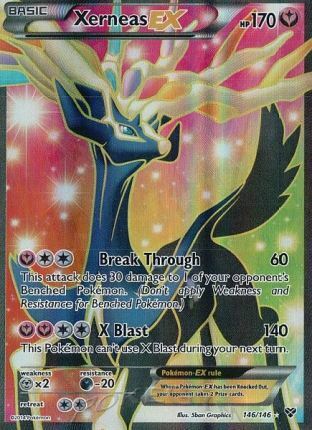 While Xerneas EX is a solid attacker, it’s just a little a tad bit under powered to be part of a strong deck. However, Florges EX is the strong attacker that Straight Fairies needed to become a force. This is not to say that Straight Fairies is the best Fairy variant, the M Kangaskhan EX and Toolbox versions all have their own charms. The important thing to remember is that they’re all different decks, even though they use a similar strategy, and they will all be effective in different meta games because of their differences. What I like about this version is just how consistent it is, and how well it deals with the top two decks of the format. The price of Florges EX was just $2.49 at the beginning of last week and has trended up to $2.99. As people discover the power of flower for Fairies I expect this price to rise and it should reach the price level of other playable EX’s. If you haven’t picked up a playset of the card yet, now is the time to do so.